Once antibiotic resistance has been established, it can evolve rapidly because bacteria multiply quickly. So, what can we do to prevent antibiotic resistance? Using antibiotics less frequently is a start, but researchers are helping, too. Thanks to laser and optical technology, a team of physicists at Ecole Polytechnique Federale de Lausanne in Switzerland have built a matchbox-size device that can test for the presence of bacteria in minutes by exploiting the movements of the bacterium's metabolism. Industry pulse: Will this advancement help stop the spread of the intestinal superbug Clostridium difficile? Each year in August, National Immunization Awareness Month provides an opportunity to highlight the need for improving national immunization coverage levels. 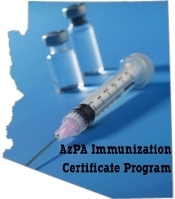 Activities focus on encouraging all people to protect their health by being immunized against infectious diseases. Acetaminophen carries the risk for rare but serious and potentially fatal skin reactions, the FDA warned Aug. 1. The risk is present both in prescription and over-the-counter products containing the pain reliever and fever reducer, whether it is the single active ingredient or is combined with other medications. Looking for similar articles? Search here, keyword ACETAMINOPHEN. The FDA is warning patients with diabetes about a recall of up to 62 million glucose test strips used to measure blood sugar levels that can show incorrect, abnormally high blood sugar readings. Art Caplan, the New York University Langone Medical Center, Division of Medical Ethics, wants to talk about a very controversial subject: Should physicians and nurses be subjected to routine drug screening? Should they have to void in a cup to get a job? Should they have to do that to keep their jobs? On June 20, during The Centers for Disease Control and Prevention Advisory Committee on Immunization Practices meeting, APhA Chief Strategy Officer Mitchel Rothholz provided an overview of the profession's immunization activities and the role of community pharmacies in vaccine delivery in the United States. Playing off the themes discussed by Rothholz, pharmacists can engage patients, physicians, lawmakers, public health officials and other stakeholders in discussions on the valuable role of pharmacists in vaccine delivery. European physicians who participated in Internet-based training on the use of C-reactive protein tests or enhanced patient communications wrote significantly fewer antibiotic prescriptions for patients with acute respiratory tract infections than physicians who did not participate in the training, according to a randomized controlled trial. Several major pharmacy chains, including CVS Caremark and Walgreen, have recently announced plans to help educate customers regarding details of the Affordable Care Act. Individuals will be able to start purchasing health insurance through exchanges established by the ACA on Oct. 1, and the law's individual mandate, requiring most people to have health insurance, will go into effect on Jan. 1. However, many remain unaware of how the law will affect them. After several amendments to a California bill that specifies and expands the role of the pharmacist and includes future provider status if passed, all organized opposition has been dropped. The bill has passed the California Senate but still needs to be considered by the State Assembly. Jason Poquette, R.Ph., writes: "I have been writing a series of posts on career management for pharmacists. I am doing so, not because I consider myself the know-it-all of pharmacy careers. I'm not. I do however, like you, know something about this subject." In the U.S., child-resistant packaging for most medications has contributed to the prevention of thousands of pediatric deaths. Nevertheless, over 500,000 calls are made to poison control centers each year after accidental ingestion of medications by young children. Although electroconvulsive therapy has long been considered the most effective treatment of medication-resistant depression, millions of people who might benefit don't take advantage of it because of the treatment's side effects and public misperception of the procedure. On July 25, the FDA approved levomilnacipran extended-release capsules for treatment of major depressive disorder in adults. A selective serotonin and norepinephrine reuptake inhibitor, levomilnacipran ER is to be taken in a dose range of 40 to 120 mg once daily with or without food. It was discovered by France's Pierre Fabre Laboratories and codeveloped by Forest Laboratories, according to a company press release. There is insufficient evidence to determine whether adults without vision problems should be screened for glaucoma, the United States Preventive Services Task Force declared in a statement published online in the Annals of Internal Medicine. The statement updates recommendations made by the USPSTF in 2004 and was made based on a review of the evidence on benefits, harms and accuracy of screening and treatment of early glaucoma.